Find ISON C/2012 S1 comet with the help of your Android tablet or mobile phone.- GPS and system hour will help you to stablish the location parameters. - Compass and accelerometer of the device will indicate you the position of the comet. 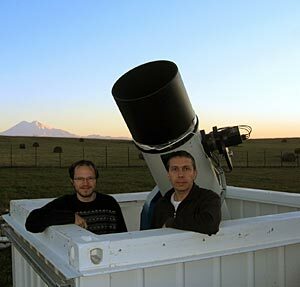 - Camera will allow you to precisely align the virtual comet with the real one. * The efficiency of the process strongly depends on the device sensors precission. Please, use any compass calibration app (f.e. gps essentials). The comet parameters have been obtained from the website of NASA (JPL) . Hyperbolic equations for the comet trajectory have been used with some minor approximations. The focal length of the camera (width and height angles) has been used to place objects in the screen. If the compass and accelerometers of the device are accurate, this app is also accurate enough. प्रकृति के रहस्य अपरम्पार हैं. 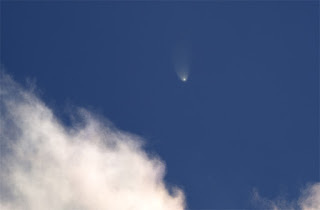 Interesting and introducing story of COMETS with its detailed significance. GREAT!